LOL! Guess what I was thinking during the touching farewell scene at the plane? "The game is NEVER over! You're ALWAYS playing yellow car!" And then I checked to make sure that wasn't GERTI he was climbing into. I did wonder if a certain Captain might be flying the 'plane at the end of HLV. And, of course, the game is never over. Oh look, it's Mary when I still liked her! 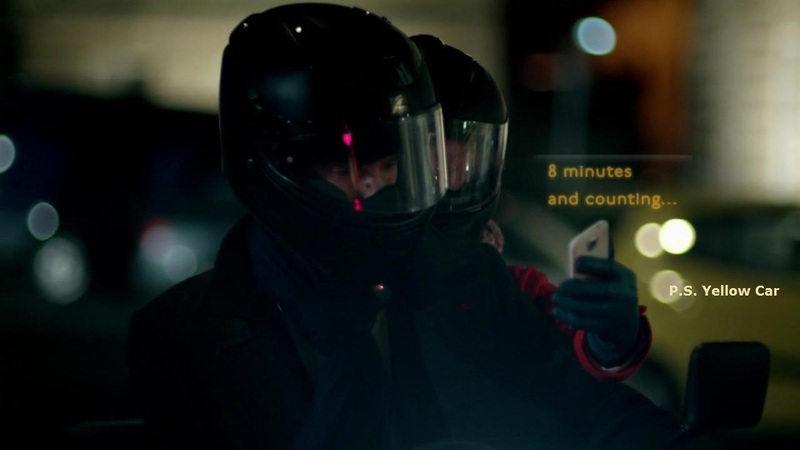 JUST SWERVE AND THROW HER INTO THE THAMES, SHERLOCK! *feels homicidal* Yes, I know you still like her. Please forgive my bitterness. But still. To say that I thought you had a magnanimous soul! 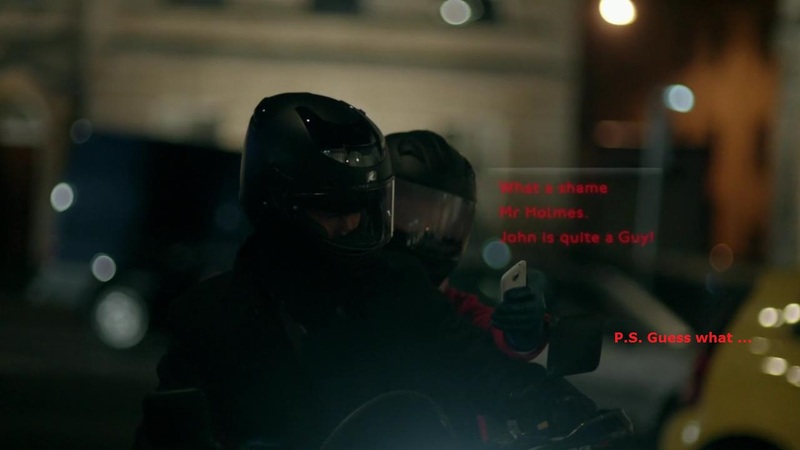 :D No, I don't mind Janine (she didn't shoot Sherlock), I even feel a bit sorry for her. (The keywords are "a bit".) If I hadn't remembered Holmes' fake engagement in The Adventure of Charles Augustus Milverton I'd probably have died with shock and distress on seeing her scenes in 221B but I remembered it and I managed to stay perfectly serene to keep more or less calm not to cry. Also, the fact that it's mostly Janine who kisses Sherlock and he doesn't really kiss her back lifted my spirits a lot. No, I didn't re-watch the scene to check. Not a lot. Anyway, I re-watch the episode tonight and I had a wonderful thought, and thanks to you. I think you're right, Martin Crieff is "the other one". And I think Mycroft hired him. I think he's the pilot of the plane that takes Sherlock to Eastern Europe. Now, if you look closely (and I suspect you did! ), you notice that we see the plane landing but not coming to a halt. I KNOW THE REASON WHY. It will be the first scene of season 4. While landing Martin Crieff is told that his passenger is Sherlock Holmes, of course he gets very nervous, he swerves and the plane squashes Mary flat. Aaaah, I love happy endings. Hey, why are you looking at me this way?